It's only been since Sunday when Europe did a shock and awe dumping of almost a $1 trillion dollars to bail out their impending sovereign debt crisis. 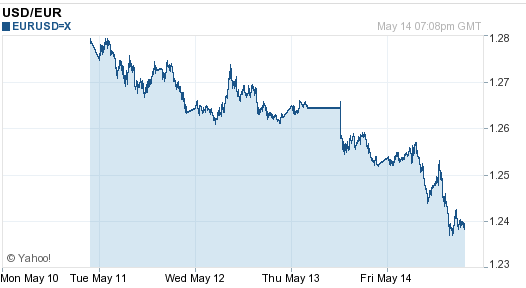 The news started today with S&P downgrading Greek bonds to junk. It wasn't just the sovereign debt that became junk, but also the debt of many of the major Greek banks as well.